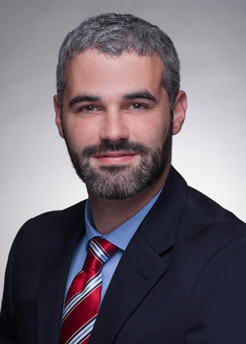 Jason Ross is a member of the Labor and Employment Practice. He concentrates his practice in labor and employment, the Americans with Disabilities Act, and higher education law. While earning his J.D. from George Washington University Law School, Jason was a summer associate for Saul Ewing Arnstein & Lehr, where he gained experience with matters involving higher education, employee discrimination, traditional labor law and insurance. He worked at the GW International Human Rights Clinic, where he worked on draft treaty provisions for the International Law Commission of the United Nations. He was also a legal intern for the Fair Practice Department of the American Federation of Government Employees, where he worked with issues involving workplace discrimination and EEO claims. While pursuing his undergraduate degree at the University of Maryland, he worked at the U.S. Census Bureau as an anti-terrorism branch security analyst, an investigative intern in the Camden County Prosecutor's Office and as a research intern for the school's National Consortium for the Study of Terrorism and Responses to Terrorism (START) project.